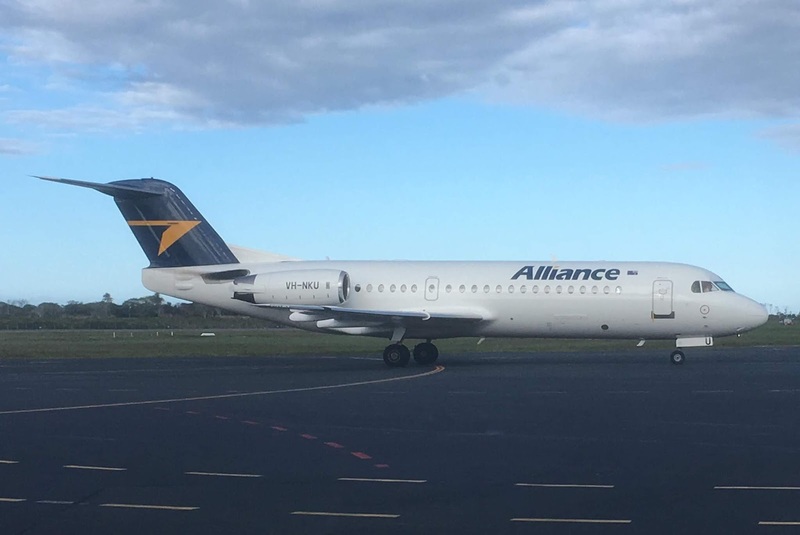 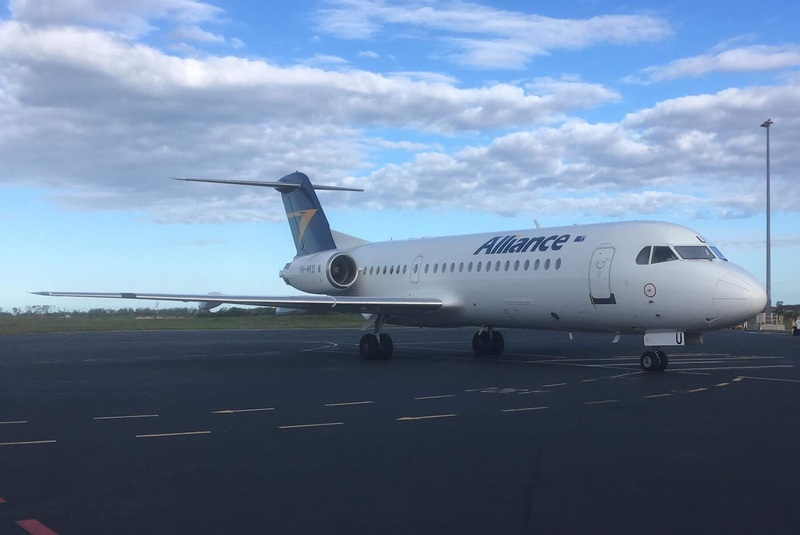 A surprise arrival into Mackay Airport on Wednesday 11 July with Alliance Airlines Fokker F-70 VH-NKU touching down from Brisbane as UTY2600. 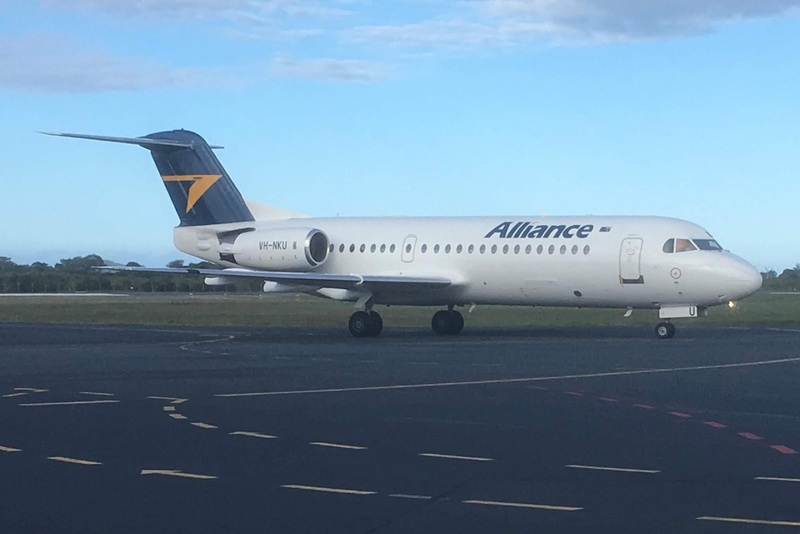 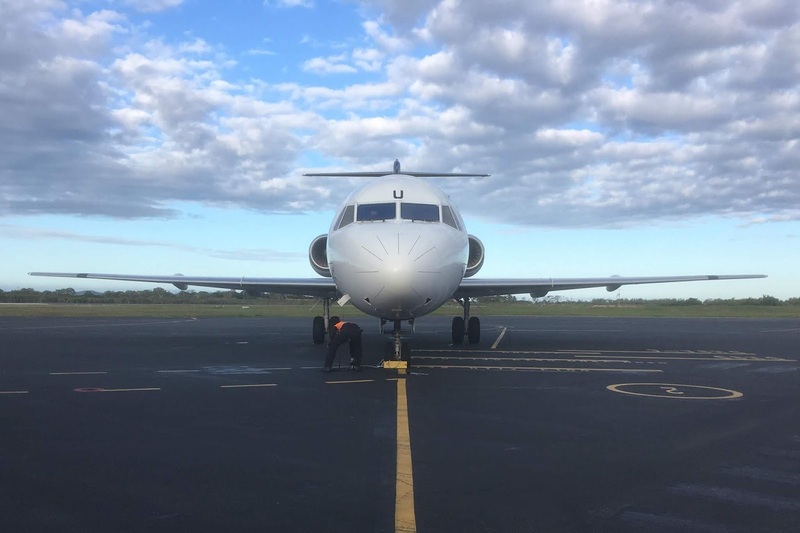 The flight was reportedly on behalf of QantasLink - Qantas Airways - caused by the breakdown of one of the QantasLink aircraft that was due to operate the flight. 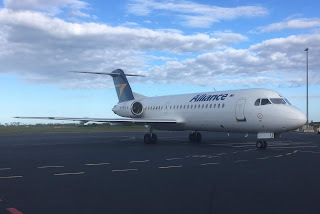 After unloading and then loading, VH-NKU departed back to Brisbane but as UTY2601. 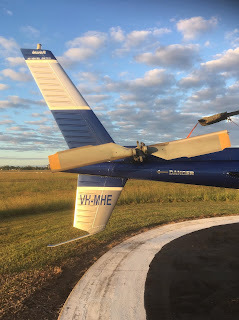 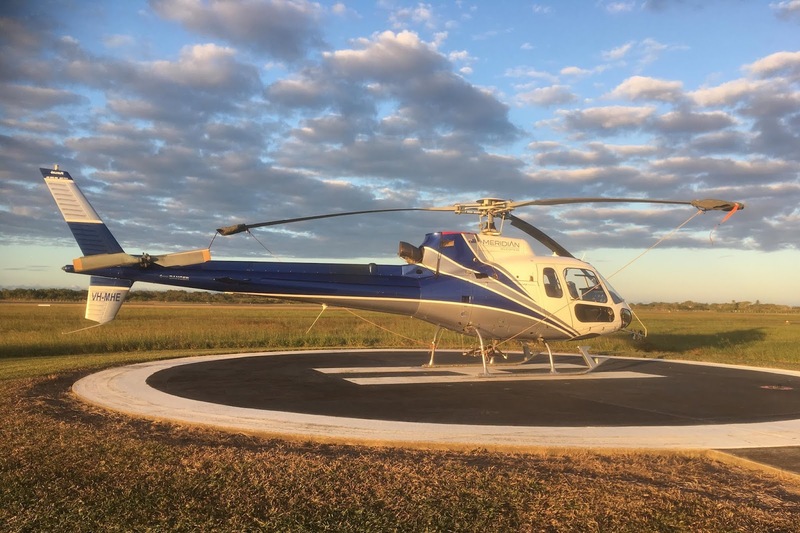 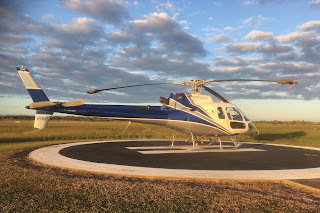 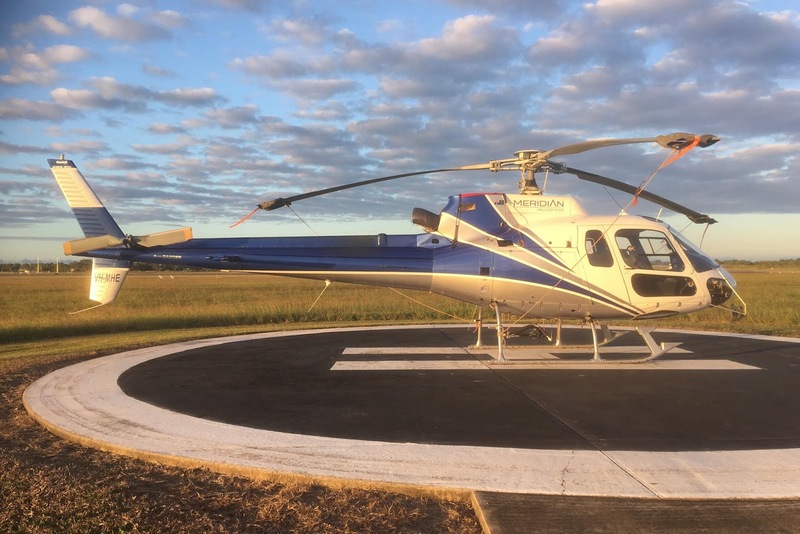 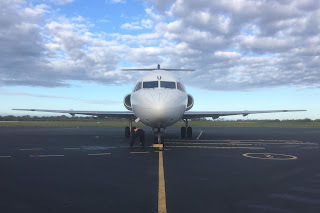 Meanwhile, also spotted at Mackay Airport late on Wednesday 11 July and preparing for an overnight stay was Townsville-based NQ Heli-Worx (Meridian Helicopters) Aerospatiale AS350 B2 Squirrel helicopter VH-MHE. 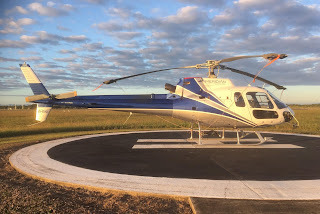 Sincere thanks 'JM' for taking the time to capture and send through these great photos!